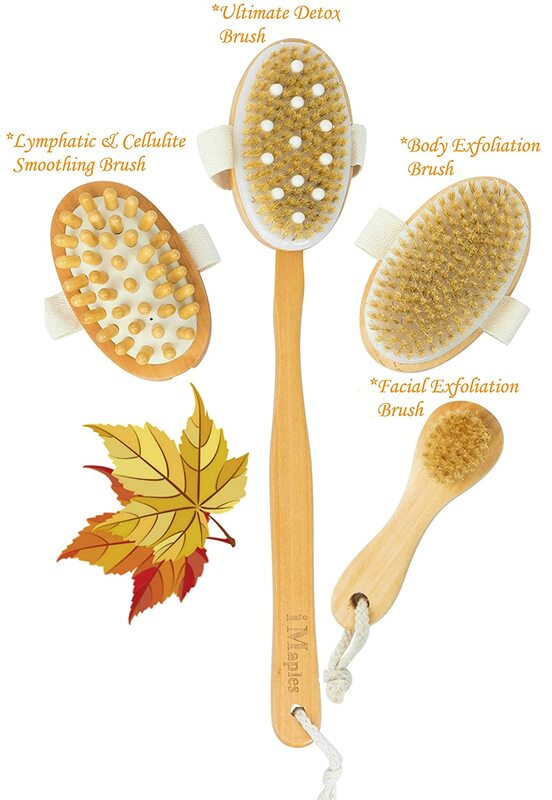 i Maples Dry Brushing Body Brush Set – Stimulates Natural Circulation and Minimizes the Appearance of Cellulite and Stretch Marks! 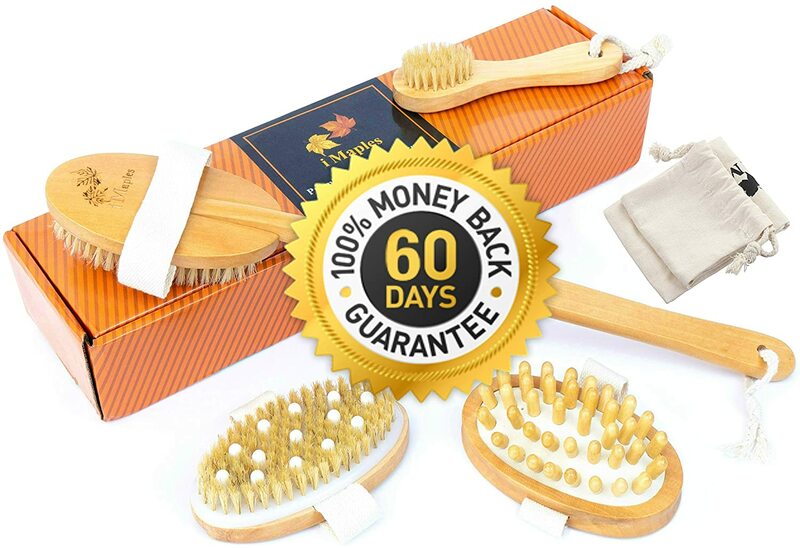 Safe, gentle, and effective, our 5-piece dry brushing kit is a complete dry brush set and easy to use for women and men alike who want to look and feel years younger by diminishing the signs of wrinkles, stretch marks, and cellulite. 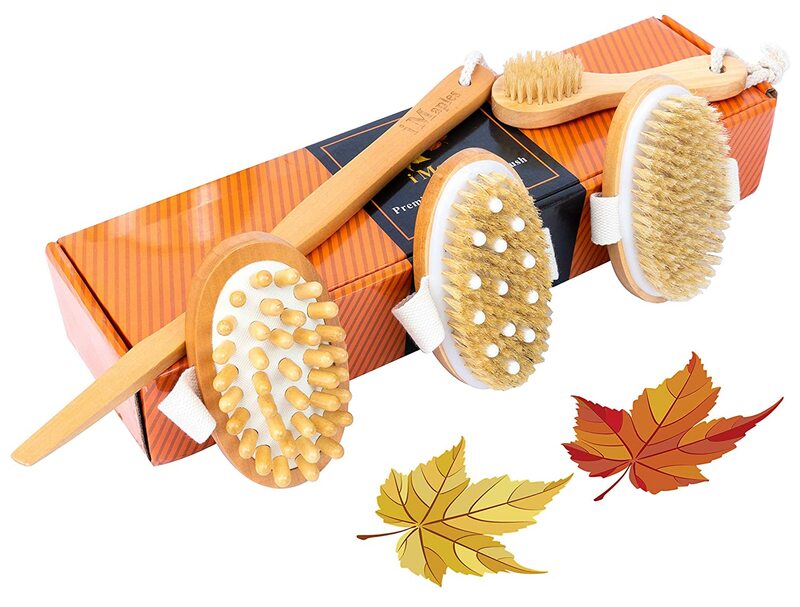 These dry bristle brushes and massagers are designed to deeply exfoliate your skin to leave it feeling softer and looking more radiant. In fact, it can be used all over your body to improve circulation, promote relaxation, enhance organs function, eliminate toxins, reduce cellulite, including arms, legs, thighs, and buttocks, and create firmer, toned, healthy skin. 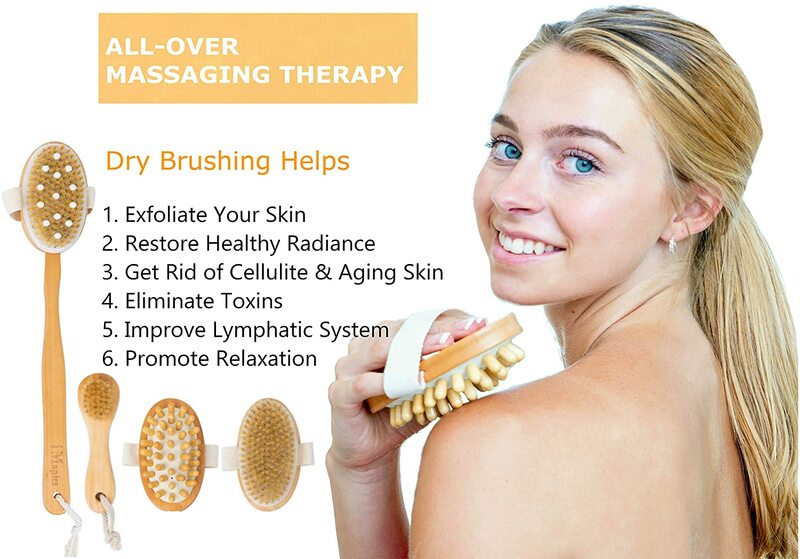 Stimulating the lymphatic system and dry brushing away dead skin cells, dirt, oils, and residue from your skin is a smart, effective way to reverse the signs of aging while restoring firmer, suppler, more radiant-looking skin all over your body. 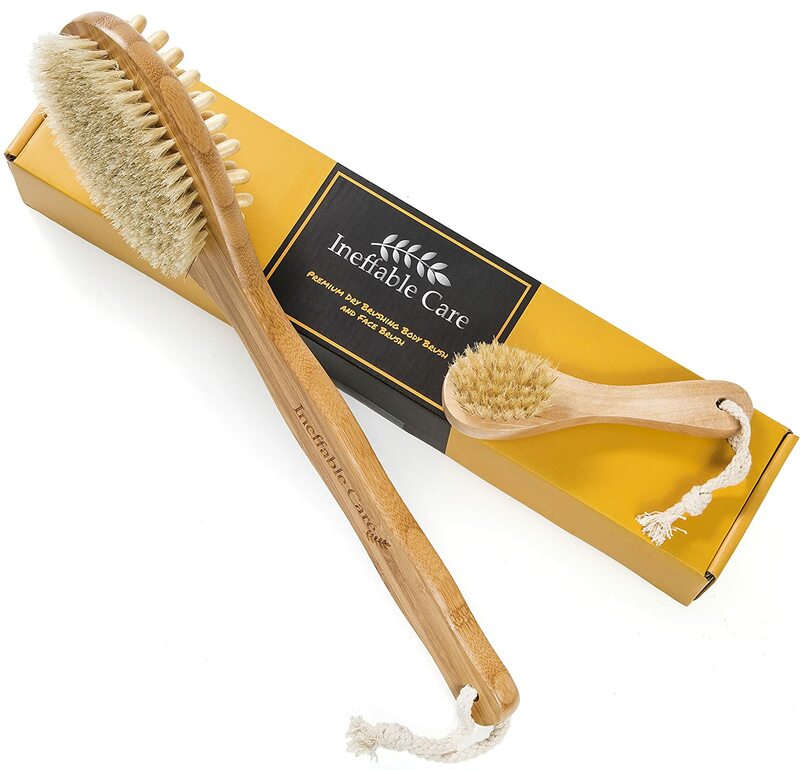 Every i Maples dry brushing set also includes a 16.5” detachable long handle that easily connects to three of the included massaging brushes. This allows you to better reach all areas on your body with less effort and improved scrubbing efficiency. Experience yourself or give someone the Perfect Gift of Glowing Skin, click “Add to Cart” right now and ORDER YOURS TODAY! 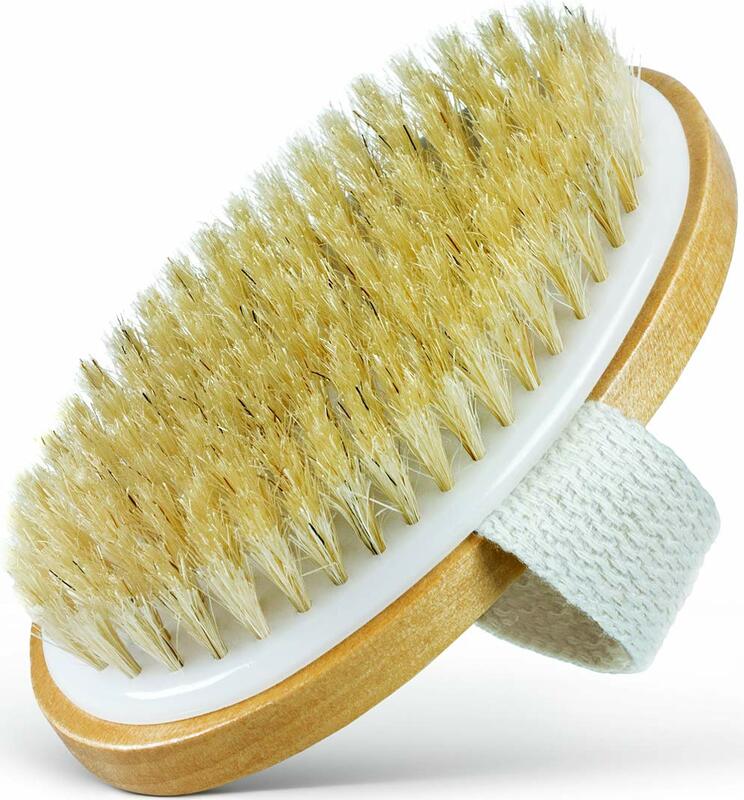 Effective, well made, all 4 brushes plus handle included, as well as ebook on how to use. The brushes are in beautiful packaging, both the box they come in and the inner bag. 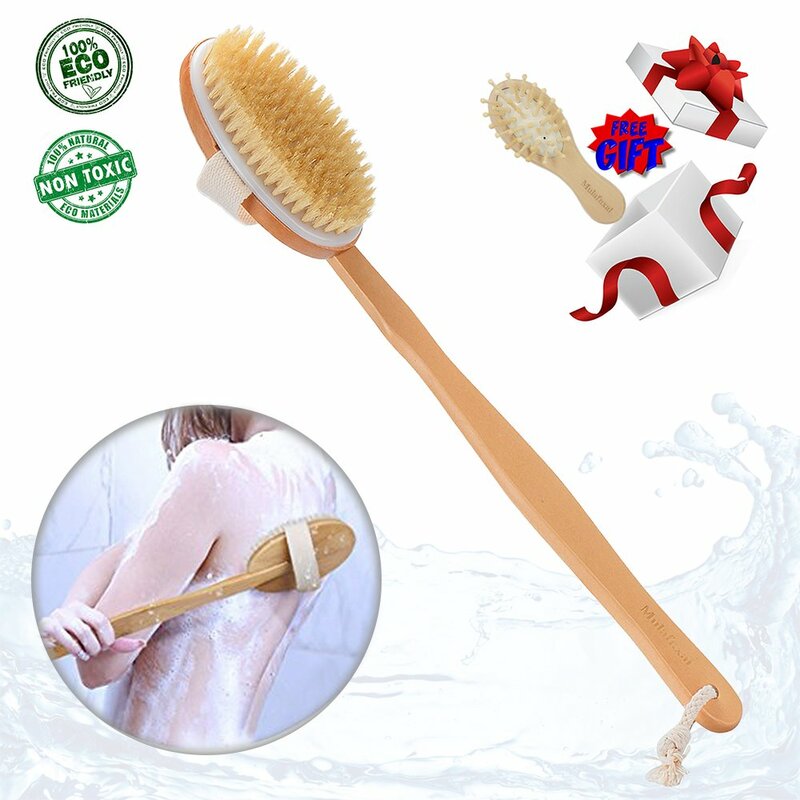 The seller sends electronic instructions on how to use and care for the brushes, which is very useful. They're very relaxing to use. I use them before shaving or after a work out and they help relax my muscles and improve my skin. The handle comes off so you can interchange the brush heads, except for the facial one, which you don't need a long handle for. Overall loving it! I love this brush set and the price was amazing.